Bottle Creek Lagoon and East Bay Cay. The excellent beaches on Providenciales usually hold the most appeal to visiting photographers, but all the development and watercraft around the Grace Bay and Leeward areas can get in the way of great landscape photos. On this page we’ll give you an overview of some of the other options on Providenciales for landscape and nature photography. Away from the developed areas of Providenciales, the best natural landscapes and wildlife are found in the national parks and protected areas off the west coast of Providenciales. Unfortunately, most of these regions tend to be remote and only accessible by unpaved roads that are often in bad condition. If you expect to visit these areas by rental car, it’s not a bad idea to get a vehicle with a little more ground clearance than the compacts and small sedans. Pigeon Pond. This largely inaccessible inland salt water pond is home to many types of wading birds. The water levels here fluctuate greatly with the different seasons. 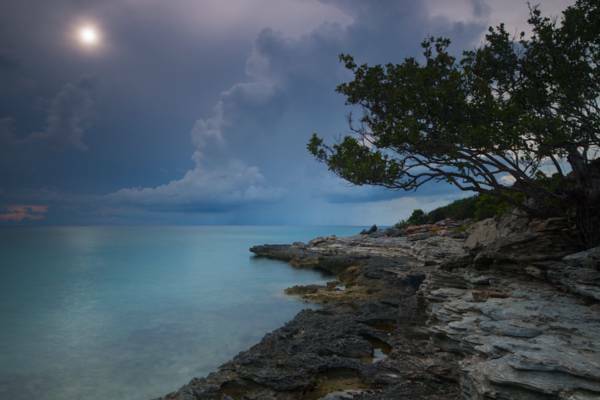 Crime is the biggest concern when venturing into the secluded national parks and nature reserves of Providenciales. Although the number of reported crimes isn’t high, the risk definitely exists and is greater in remote areas. See our Crime and Safety page for more info. Hydration is another issue to be aware of. The days can get very hot so be sure to bring plenty of water. As is usually the case everywhere for wildlife photography, most animals are more active in the early morning and late afternoon. What you’ll see also depends on the season, but many types of birds are permanent residents, such as Ospreys, Brown Pelicans and egrets. Generally, the winter months here are the most active for birds. Iron Shore at Northwest Point Marine National Park. Northwest Point National Park is composed of the Northwest Point Marine National Park and the Northwest Point Pond Nature Reserve. This area consists of rocky iron shore coastline, rough beaches, and an inland mangrove salt pond and is one of the best areas on Providenciales for bird and small marine wildlife photography. The rocky coastline (locally called iron shore) around Northwest Point is especially impressive during rough ocean conditions as the Atlantic swells break on the barrier reef quite close to shore. Northwest Point National Park is accessible by a small dirt one-lane road, but beware of the last half mile along the beach as it’s very easy to get stuck in the loose sand. Interior of Frenchman’s Creek Nature Reserve. The shallow ponds and open spaces of Frenchman’s Creek offer some of the best bird watching and photography on Providenciales. Frenchmans Creek and Pigeon Pond Nature Reserve is the largest section of protected land on Providenciales and covers an area that’s roughly two by four miles. Several different types of local terrains are represented here, including mangrove wetlands, sandy beaches, sea cliffs and inland saline ponds. Unfortunately, there aren’t really any roads into the bulk of this nature reserve, so the main interior and much of the coastline is difficult to access and not really feasible for casual visits. The coastline of this nature reserve has quite a lot of wildlife and is the best area for photography of Yellow Crowned Night Herons, Green Herons, and at times, Brown Pelicans. Great Blue land crabs are also common at times. Frenchman’s Creek Coastline. About four miles of secluded coastline can be found in this natural reserve. The southern half of this nature reserve is a maze of mangrove trees and shallow channels of water. Small lemon sharks, bonefish and conch are plentiful, and the area is great for kayaking or stand up paddle boarding. West Harbour Bluff is the southwest point of Providenciales and is also part of the Frenchman’s Creek and Pigeon Pond Nature Reserve. A cave, 200 year-old rock inscriptions and limestone sea cliffs are found on this small peninsula. An unpaved road leads out to West Harbor Bluff, but some stretches can be quite rough for small rental cars. Chalk Sound National Park. Hundreds of small rocky islands are found in this shallow lagoon. The area has had a varied history and was once the location of sea sponge and turtle farming in the late 1800s and early 1900s. Turks and Caicos Rock Iguanas still live on many of the islands. Chalk Sound National Park is a quite scenic shallow three square mile lagoon that’s connected to the ocean by a small channel of water. What makes Chalk Sound special is the hundreds of small rocky islands spaced out in the water. Most of these islands are less than 300 feet across, and they tend to be covered with vegetation and small trees. One interesting fact is that Turks and Caicos Rock Iguanas (Cyclura carinata) still inhabit most of the islands. These large lizards used to live on all of the islands in the Turks and Caicos, but the introduction of cats and dogs led to their decline on all of the inhabited islands, and now small cays are the only homes left for these rare Rock Iguanas. Unfortunately, most of the south and east sides of Chalk Sound have been marred by ugly development, so views looking towards the ocean from the north side of Chalk Sound really aren’t great. For views and photography of Chalk Sound, it’s easiest to drive along the paved residential Chalk Sound Drive. There aren’t any dedicated overlooks or viewpoints, but it’s possible to see much of the area from the road. Also in this area is the scenic Taylor Bay. Frenchman’s Creek Wetlands. This area is a breeding ground for many types of marine wildlife including Lemon Sharks, Bonefish, and Conch. Great photo opportunities can be found on some of the other islands in the Turks and Caicos. North and Middle Caicos probably offer the most in terms of landscapes, and are easily accessed as a day trip from Providenciales. Along with miles of secluded beaches, the spectacular Mudjin Harbour, Conch Bar Caves, Indian Cave, and old plantation ruins, these two islands have salt ponds and wetland areas that attract many types of the larger wading birds. Water Cay. 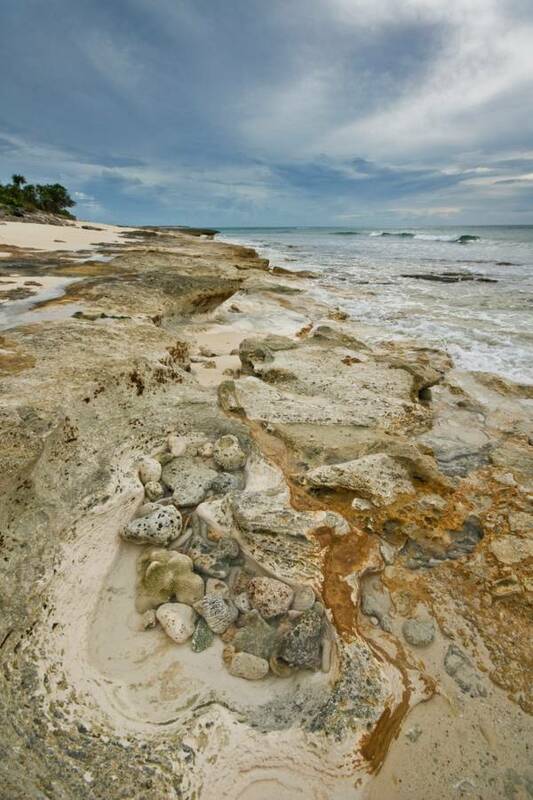 Over three miles of unspoiled beaches and sandstone cliffs are found off the north coast of Water Cay and Little Water Cay. 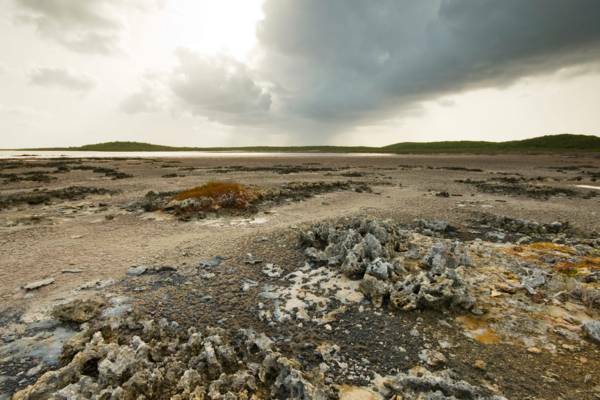 Little Water Cay, Water Cay, and the surrounding coastline offer some more possibilities. 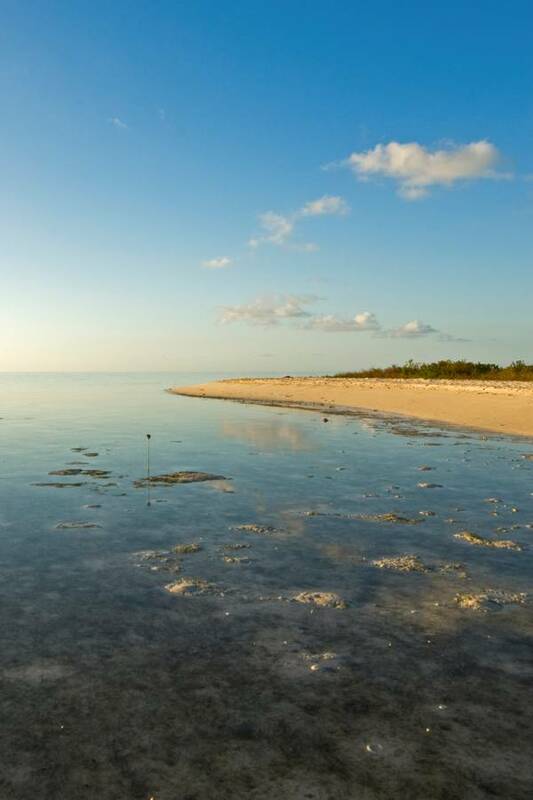 Little Water Cay is the best place in the country for viewing the endangered Turks and Caicos Rock Iguana and is part of the Princess Alexandra National Park. Both Little Water Cay and Water Cay are uninhabited and have beautiful beach and sandy cliff coastlines off the north side. The islands are connected by sandy strips of land, and are less than one mile from Providenciales, so it’s a great area to explore by kayak or small power boat. Bonefish Point, Frenchman’s Creek, Providenciales. No business currently offers dedicated photography tours, but eco tours can be a good way to get to some of the more interesting locations. At this time, Big Blue Collective of Providenciales is the foremost provider of guided trips through the protected areas of the Caicos Islands. They currently offer hiking and bicycles tours, along with kayaking and stand up paddle boarding through the wetlands. Providenciales really doesn’t offer a great selection of photography supplies. The main office supply store on the island has the largest selection and stocks basic items such as common types of memory cards and disposable batteries, and a small selection of compact digital cameras. A limited selection of 35mm print film can be found at Pennylaine Photo Studio, and at some of the local supermarkets and pharmacies. Pennylaine Photo Studio is the only local business that processes film. At this time, they only develop 35mm print film.